PODCAST: Roy, Calvin and Warnie talk all you need to know ahead of round five. Tom Mitchell. He’s the most popular player in AFL Fantasy Classic and, quite unbelievably, he went up $45,000 from an already ridiculously high starting price. Scores of 156, 137 and 148 meant that he was the set-and-forget captain option for the year. That was until Sunday afternoon. 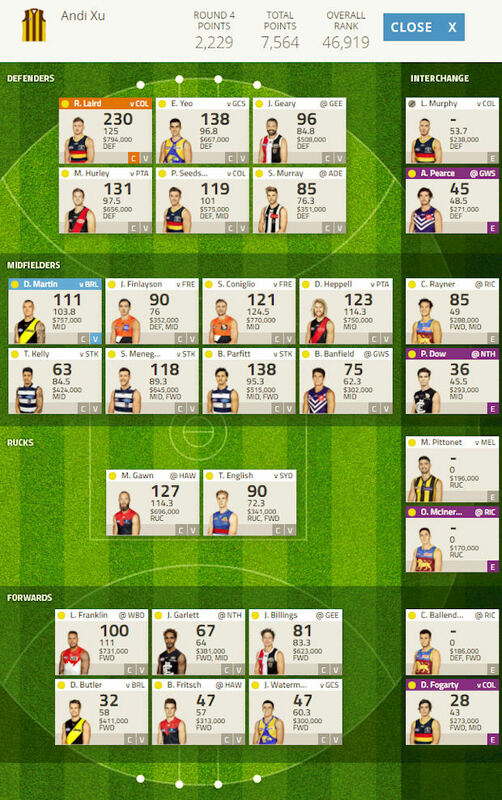 Melbourne sent Nathan Jones to the most recent Fantasy Pig to be snouted and unfortunately, he was held to 83 points at his sty, the MCG. The tag was an issue for Mitchell as he wasn’t able to score as freely as he did last season and during the opening three rounds. This week he comes up against Ben Jacobs. The North Melbourne stopper accounted for Patrick Cripps (76) last weekend and held regular 100 plus scorers Clayton Oliver (88), Seb Ross (91) and Jarryd Lyons (84) to modest totals. Cash cow Bailey Banfield is not only racking up solid scores himself, but restricting others. The Docker spent time on Lachie Whitfield in round four, restricting his influence at half-back to a score of 66. Previously he held Zach Merrett to 78 and Aaron Hall to 14. Geelong’s Scott Selwood is always a worry when he matches up on one of your gun midfielders. Port Adelaide have had Brad Ebert and even Tom Rockliff play negating roles this year. Will we need a new skipper for round five when Jacobs takes on Mitchell? 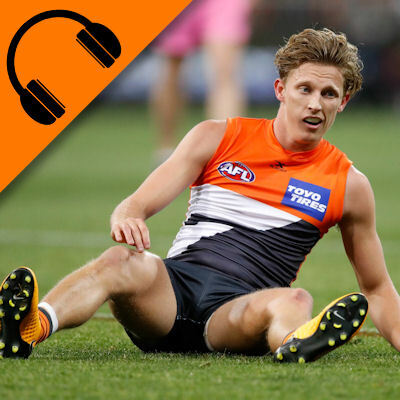 64 per cent of the competition will need to tune into what Calvin has to say on this week’s episode of the Official AFL Fantasy podcast as The Traders talk taggers. Do remember that the game was incredibly slippery due to weather for Tom Mitchell, he actually dropped a few marks that may’ve gotten his score to 100. Taranto is in for me this week. He’s a gun and looks to be that one second year who is taking his game to another level. Macrae or Sidebottom. need someone consistent. worried about Banfield tag for macrae. He is the third most selected player of the week at the moment.